VERY excited to be able to share the news with you all that I am now an official Lorna Jane Europe ambassador! I could not be happier to not only make this announcement, but also to be representing a brand that means so much to me, and to thousands of active women the world over. But just what is it that makes Lorna Jane so special, and why does it hold such personal significance? 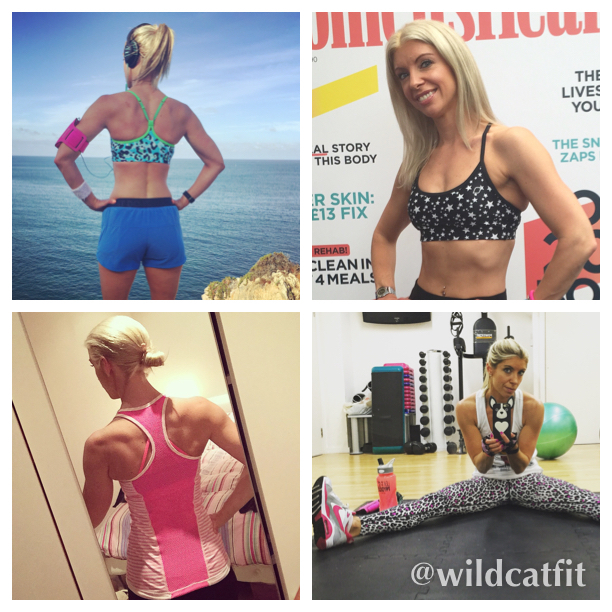 Well for starters, check out just some of my favourite Lorna Jane pieces from my collection…. And hopefully you can see what makes these stylish, colourful and functional pieces such workout staples for me. But as well as creating clothing perfect to work out and coach clients in, Lorna Jane herself is a true inspiration to me. But why? Of course, I love to look and feel good when I am training clients, teaching classes, taking meetings and training myself – but I also want to convey that message that I want to be fitter, healthier and more inspirational – and want to help others do the same. Which is why to me Lorna Jane will always be more than colourful gym tops, supportive and flattering leggings and sports bras with the sexiest details. It means showing the world that I commit to fitness, that despite the daily struggles I still want to live the healthiest life possible, and more than anything that I want to do it in comfort and style. Lorna believes everyone should “Move Nourish Believe” as a daily practice – and I do too. Hence I am truly honoured to be asked to represent this motivational movement throughout Europe, and I hope you will join me in becoming part of the Lorna Jane Europe MNB crew too! Over the coming weeks I’ll be sharing plenty of exciting LJ news with you, including exclusive discounts and heads up when new collections arrive, but in the meantime please head on over to the fantastic Lorna Jane Europe website, and start picking out the pieces to help you smash your next workout in style!